Nights of the Moon in the category "Fiction". 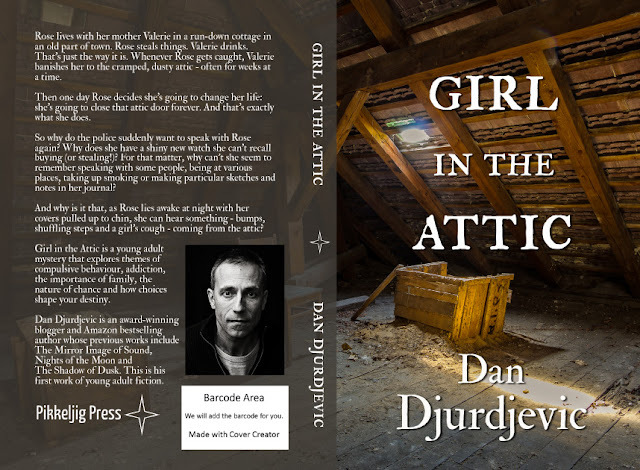 The final files - internal and cover - have been submitted to the printers for "Girl in the Attic". You have a week left to read it online! 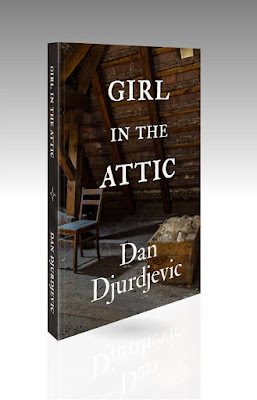 "Girl in the Attic" is in its final stages of preparation for publication. Make sure you don't miss out on the free online access up to 30 December 2016! 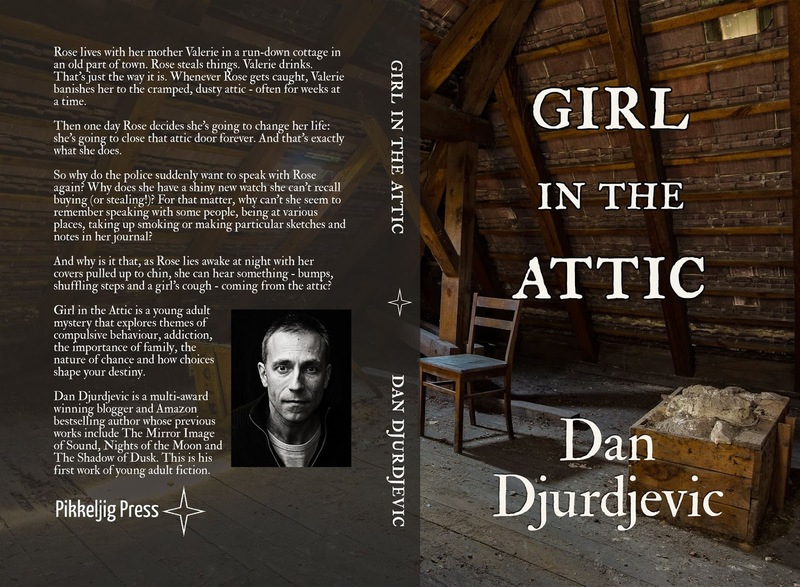 "Girl in the Attic" by Dan Djurdjevic - coming soon! Dan Djurdjevic has finished his fourth work of fiction "Girl in the Attic", netting a record number of online readers and very encouraging and enthusiastic messages from fans. If you haven't gotten into it yet, now is your chance - click on the image below or go here. So why do the police suddenly want to speak with Rose again? Why does she have a shiny new watch she can't recall buying (or stealing!)? For that matter, why can't she seem to remember speaking with some people, being at various places, taking up smoking or making particular sketches and notes in her journal? 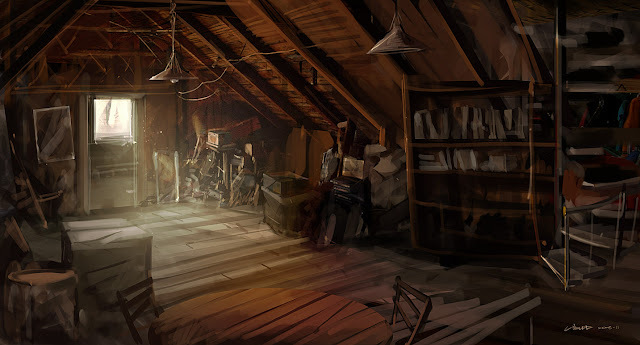 And why is it that, as Rose lies awake at night with her covers pulled up to chin, she can hear something - bumps, shuffling steps and a girl's cough - coming from the attic? 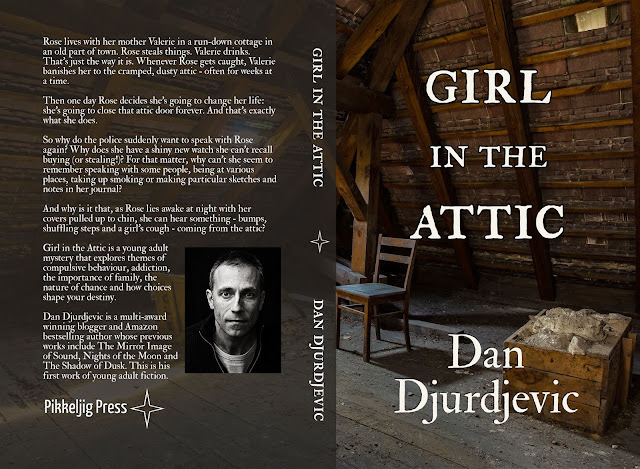 Girl in the Attic is a young adult mystery that explores themes of compulsive behaviour, addiction, the importance of family, the nature of chance and the role your choices play in shaping destiny. 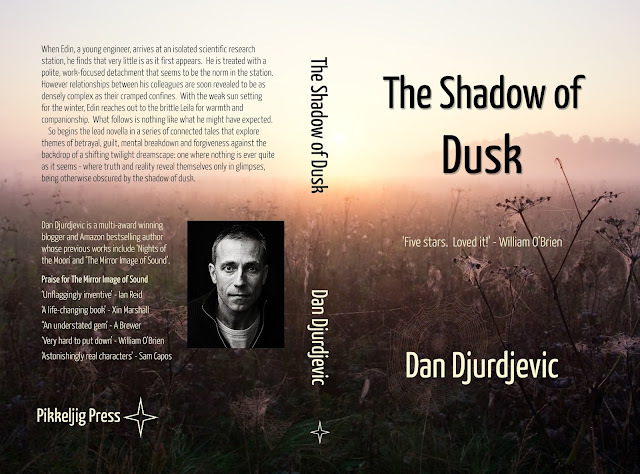 Dan Djurdjevic is a multi-award winning blogger and Amazon bestselling author whose previous works include The Mirror Image of Sound, Nights of the Moon and The Shadow of Dusk. This is his first work of young adult fiction. 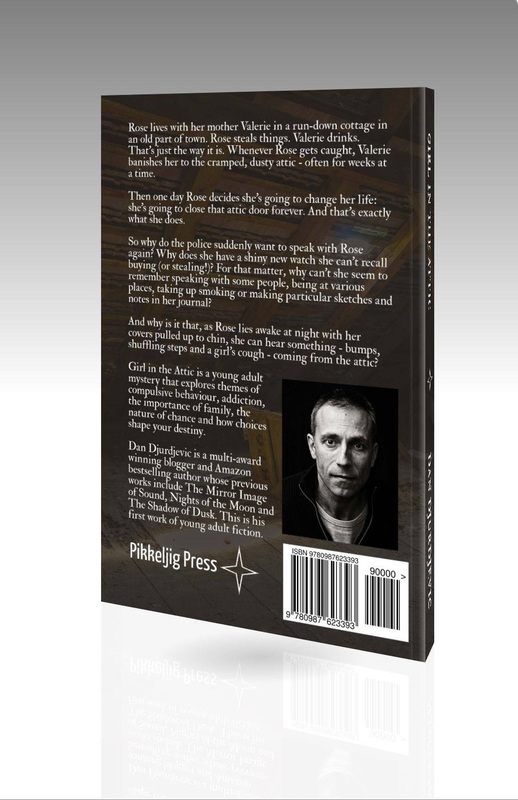 The story will stay up for only two more weeks before it is taken down for preparation for publication by Pikkeljig Press. 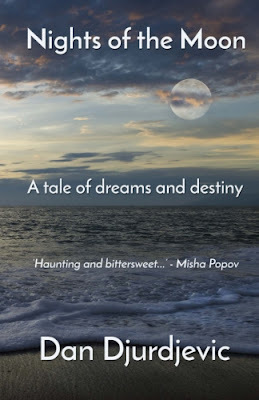 In a series of nightly letters written over the Muslim holy month of Ramadan (the 'Nights of the Moon'), Leila reflects on her time on Irwin Island: the long hours, the isolation and loneliness, and the arrival of the charismatic, if distant and troubled, Edin. As her account unfolds, it reveals the deeply complex web of relationships on the island - and the surprising role Edin plays in them. 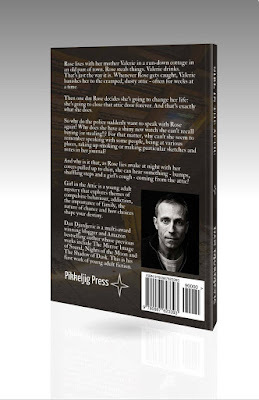 Against a background of storms, looming violence and growing mental instability, Leila's letters show how, despite her introversion and social awkwardness, she is drawn into the world of her co-workers in a way that will change their lives forever. Nights of the Moon is a drama and mystery, set in a tiny dystopian community that serves as a microcosm for modern Western society. Download your Kindle here. Free from 28 August to 1 September 2016.